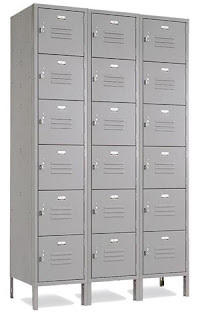 6 Tier Box Lockers are the most common used in Restaurants, Gyms, Hotels. ideal for backpacks and belongings. In Stock, Delivered Assembled, Just unbox, anchor to the wall and they area ready to use. Gales Industrial the leader in NYC Lockers provides on site layouts, quick delivery and Installations. Need another type of Locker? let us know we have them in stock. Contact us today for immediate assistance.